A pair of celebrated stage stars have been added to the cast of Tony Kushner and Steven Spielberg's upcoming West Side Story film remake. 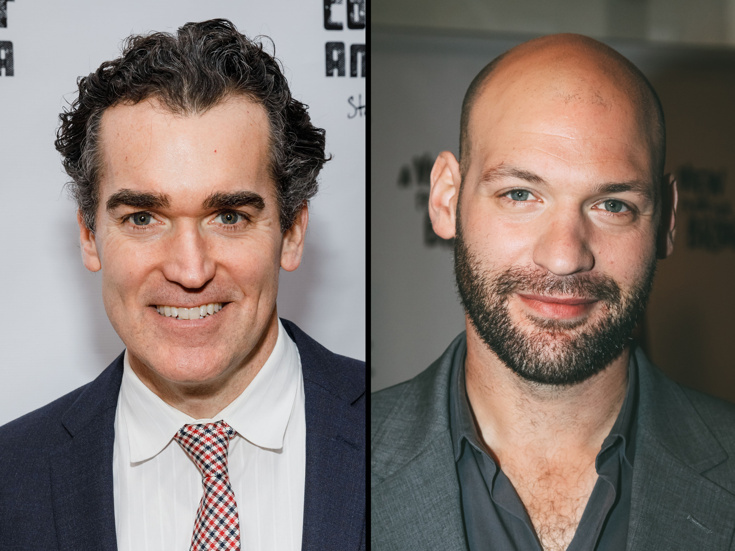 Three-time Tony nominee Brian d'Arcy James will play Sergeant Krupke, with Golden Globe nominee Corey Stoll as Lieutenant Schrank. James, currently appearing on Broadway in The Ferryman, earned Tony nominations for Something Rotten!, Shrek and Sweet Smell of Success. His screen credits include Smash and Spotlight. Stoll has been seen on Broadway in Old Acquaintance, Henry IV and A View From the Bridge. He was Golden Globe-nominated for House of Cards. James and Stoll join a previously announced slate of stars that includes Ansel Elgort as Tony, Rachel Zegler as Maria, Tony nominee Ariana DeBose as Anita, Tony winner David Alvarez as Bernardo and Josh Andrés Rivera as Chino. Oscar-winning West Side Story original film star Rita Moreno will take on the role of Valentina, a reconceived version of Doc. As previously reported, Tony and Pulitzer Prize winner Kushner has written the adaptation of the 1957 musical originally written by Arthur Laurents and Stephen Sondheim with music by Leonard Bernstein, and concept, direction and choreography by Jerome Robbins. 2018 Tony Award winner Justin Peck (Carousel) will choreograph the remake. Filming of the new West Side Story, produced and directed by Spielberg, Kristie Macosko Krieger and Broadway's Kevin McCollum, is scheduled to start this summer.